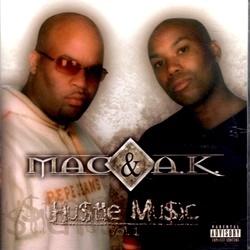 G-Funk・Classic！Westbound The EPでお馴染みMac & A.K.が2004年にリリースした一枚!!!!!!!!!!!!!!! 気持ち良過ぎな逝きな最高級Smooooth・10.Come My Way！11.California Lifestyle！13.Pray 4 Meなど収録!!!!!!!!!!!!!!!! !